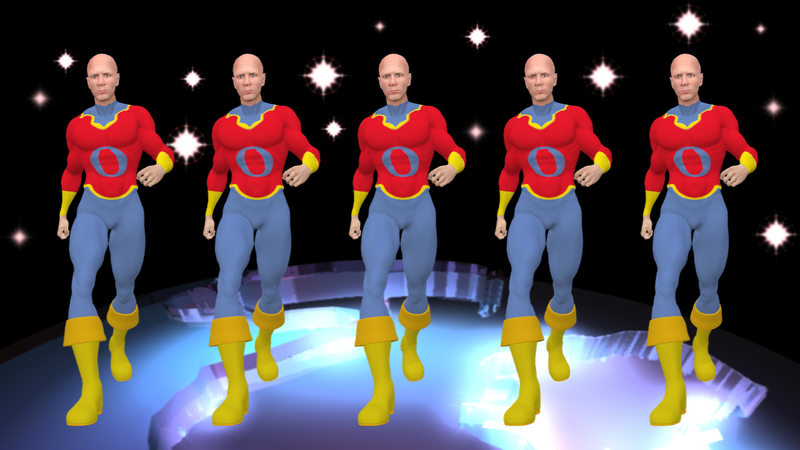 In OMEN five identical, muscular men march over the globe in synchronised steps. The face of these animated characters is modelled after the artist but body and costume refer to well known US american super heroes like spiderman, superman oder batman. On their chests they have a circular sign – an “O” – which might be the letter “o” or the digit “zero”. And thus obviously this computer animation reminds us of the zeros and ones that make up the binary code that is the base of the processing of digital information. 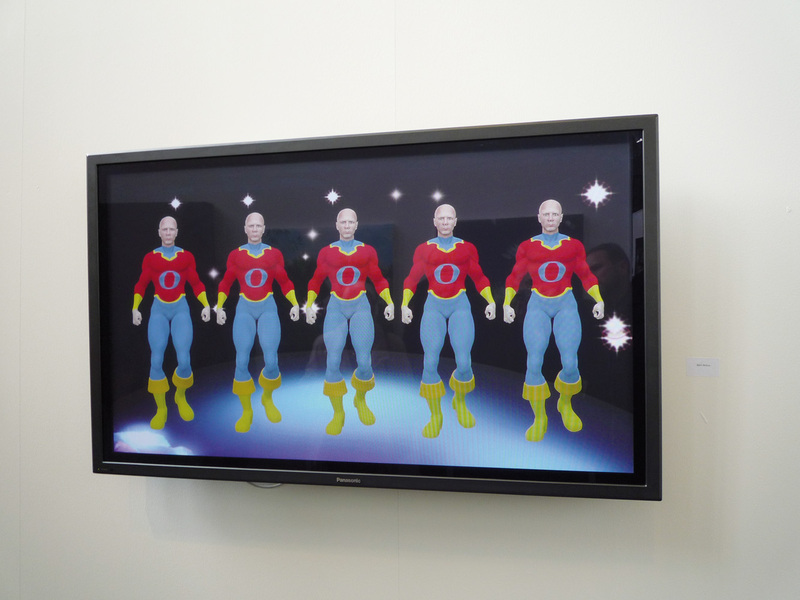 – Which superhuman powers do these digital zero-men have? Are they a positive or a negative omen? They walk cooly, ceaselessly, determinedly, on and on, just like technological progress immune to hindrances, seemingly unstoppable. This video was inspired by the financial crisis in 2008.